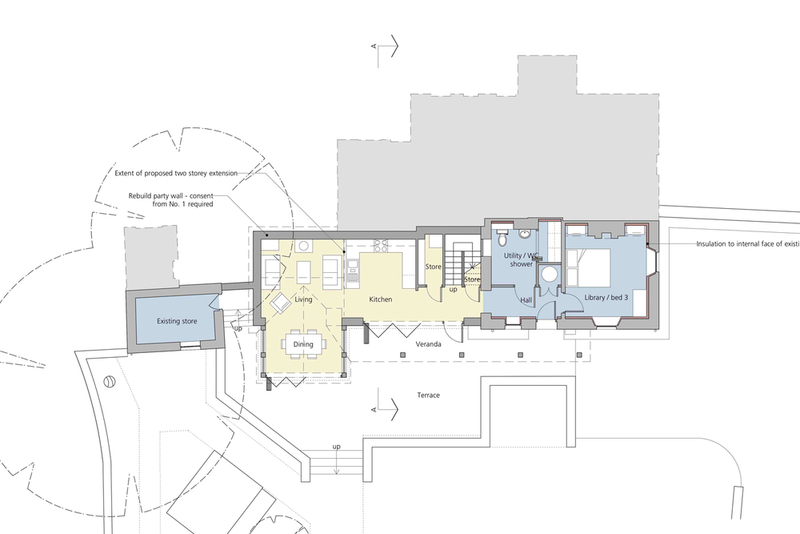 The extension, alterations and refurbishment of a Victorian quarryman's cottage to provide a low carbon energy efficient future proof home for a retired couple downsizing from their family house. The brief called for the ground floor to be wheelchair compliant to allow our clients to live exclusively at ground level should the need arise. The integrated sustainable design approach combines renewable technologies with high levels of insulation, low ventilation loss, breathable construction, optimising passive solar gain, rainwater harvesting and high thermal mass. We also designed the gardens to include permeable paving, with indigenous plant species to optimise biodiversity.